Regular readers will know I am a big fan of Funky Giraffe, so I was really happy when they agreed to work and do a review with us. This time for their clothing range. Funky Giraffe was created by a very successful fashion designer who became a mother for the first time. Funky Giraffe started by creating Dribble Bibs which they are still renoundly known for. 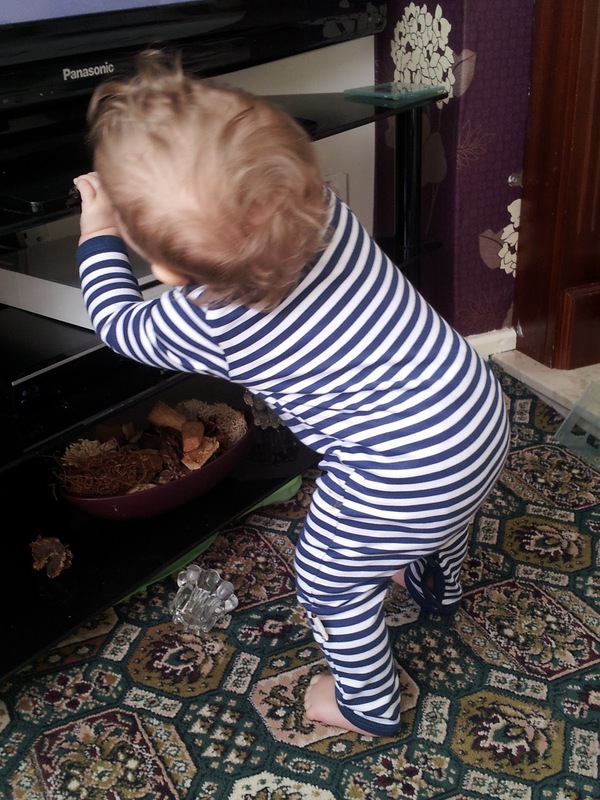 The bibs were created as she was unimpressed with the range which was available on the market at the time. Funky Giraffe has become a worldwide company, however the quality of the items has stuck the same. 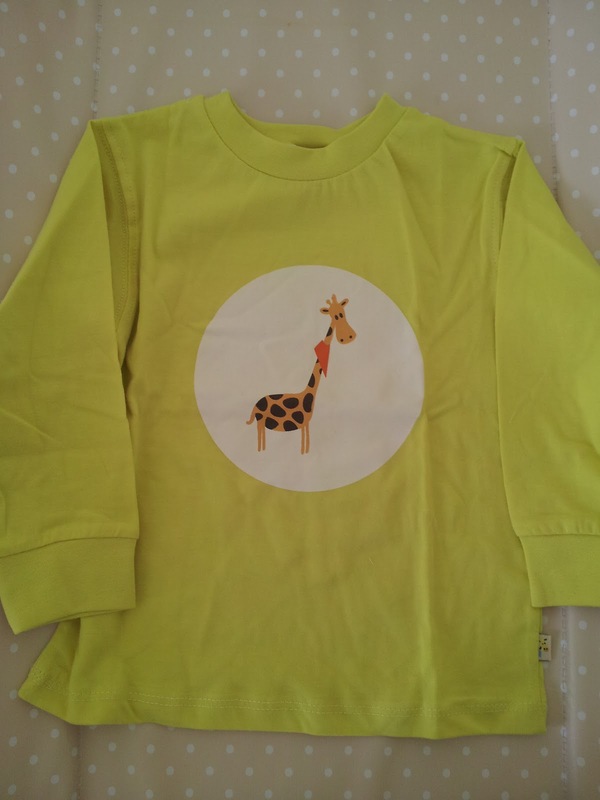 Branching out, Funky Giraffe no longer just make Dribble Bibs they also make clothing too. 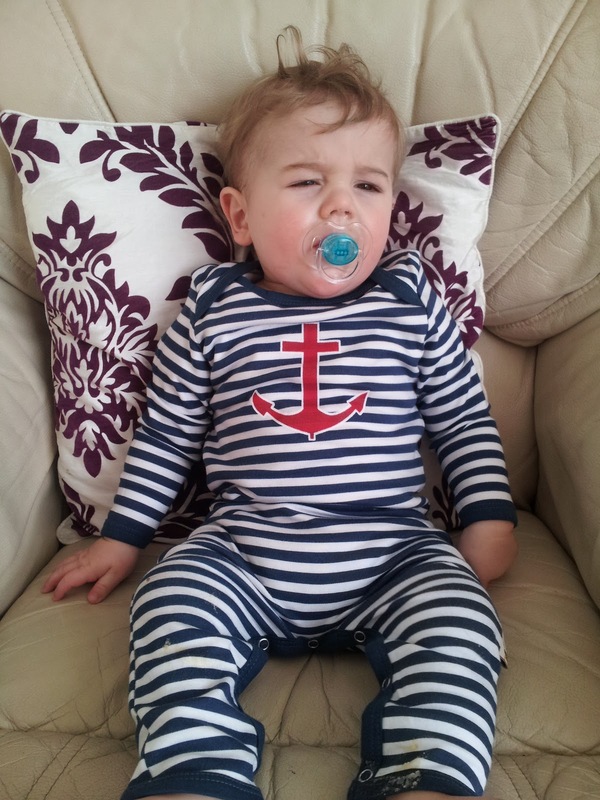 I was sent some lovely items of clothing to test out with Jack for the purpose of this review. I was sent two t-shirts and a romper. 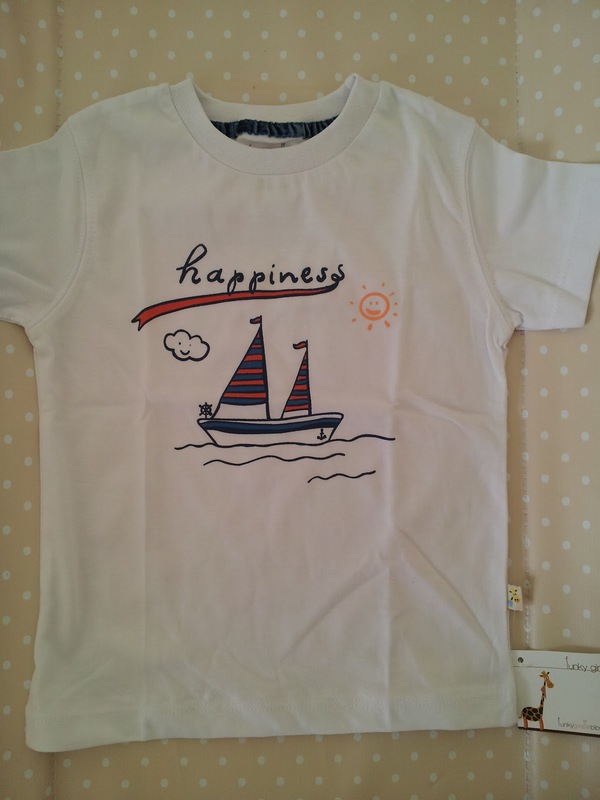 Jack was sent a Short Sleeved Sea Of Happiness T-Shirt, Long Sleeved Funky Giraffe T-Shirt and a Anchors Away Romper. All of which were really cute upon delivery. Upon opening my package I could feel the texture of the fabrics used was quality. The feel of them was lovely and the stitched was well joined with no glitches. 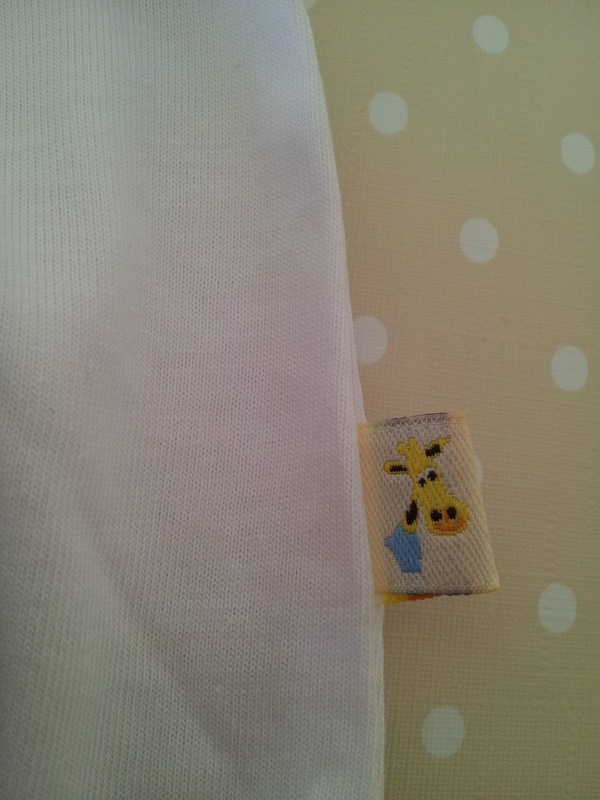 Upon the side of the clothing is a cute little tag with the Funky Giraffe logo on. 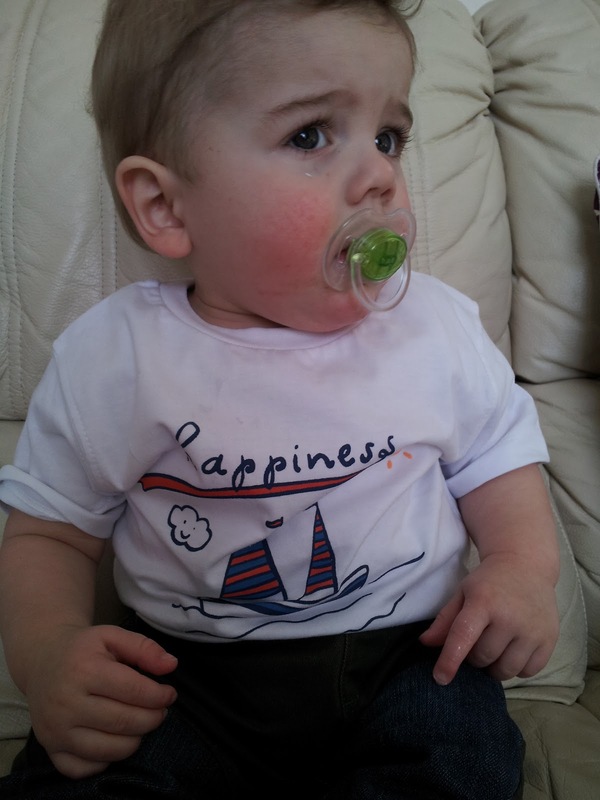 The items are made from 100% cotton so perfect for little babies aswell as big toddlers. 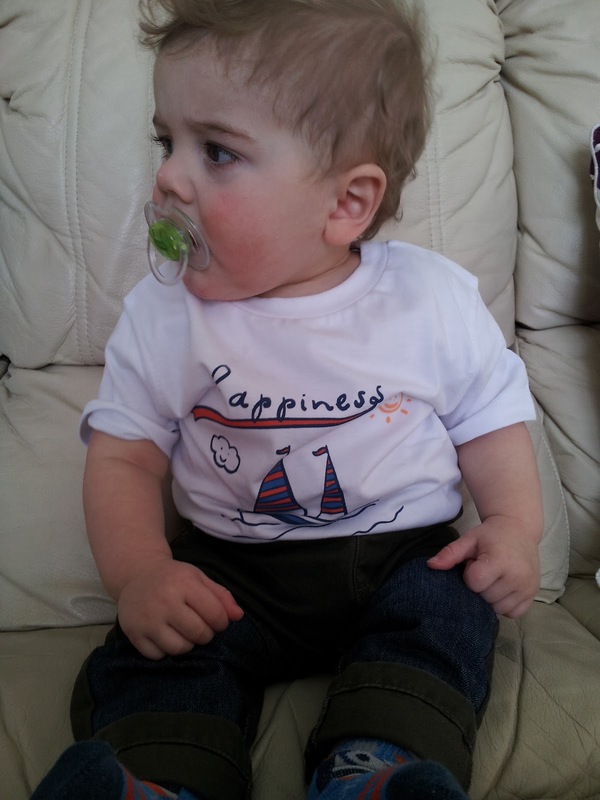 I asked for the t-shirts to come in the next size up to which Jack wears incase they were a small fitting as Jack's current size fitted him just right. However, I was wrong to do this as the sizes are perfect and very generous. 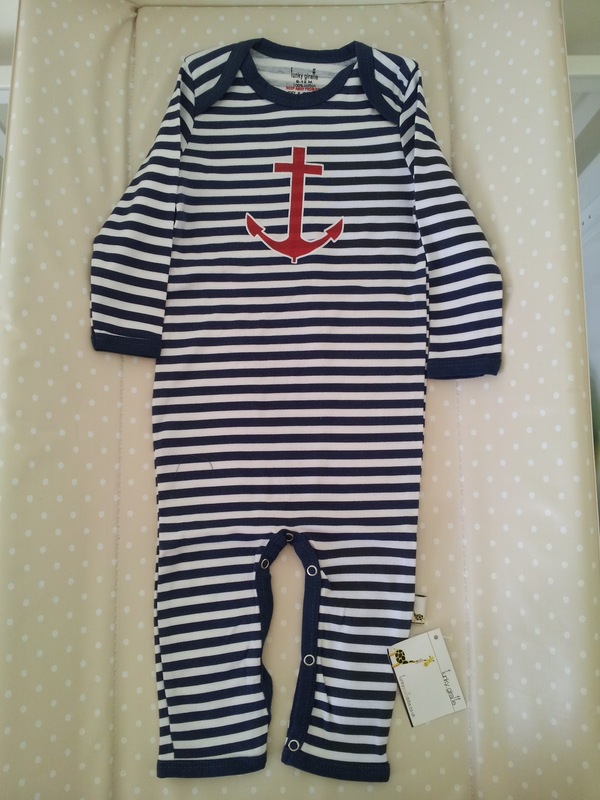 Sometimes when you buy from smaller brands sizing can come up small however with Funky Giraffe they didn't. 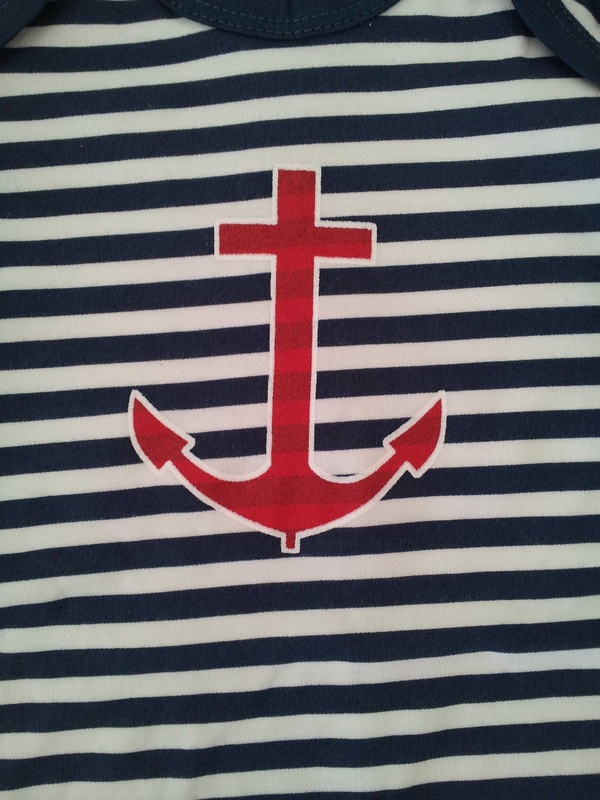 I have now also washed the items a few times, and the t-shirts still look as good as new, and the romper has slight fading to the blue upon the stripes. I have found this with most blue items though (maybe its my washing skills). The shape of the items was held really well, even after a turn through the tumble dryer. This is more than can be said for some expensive brands. 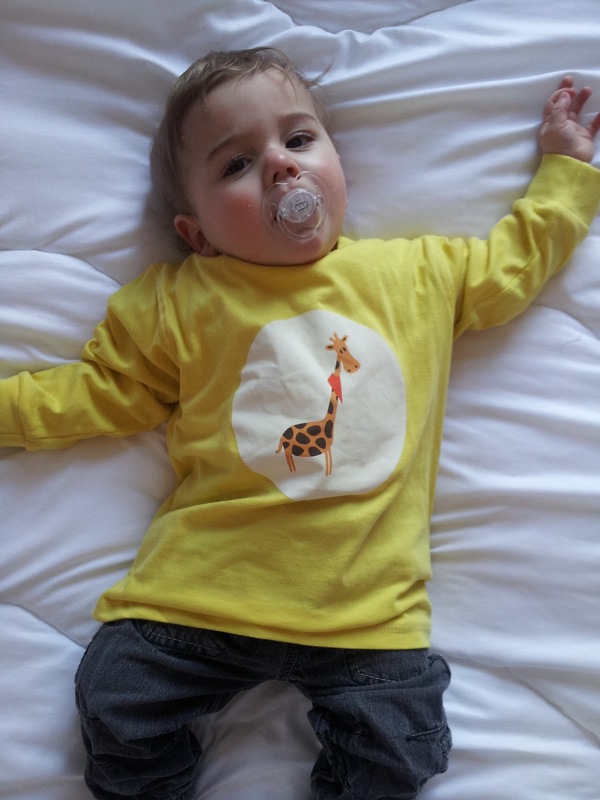 You may think that Funky Giraffe clothing wouldn't fit your toddler as they are a brand just for babies. However; their t-shirt range goes upto 48 months (4 years), the Romper range going up to 12 months, Vest upto 36 months (3 years) and dresses upto 48 months. A great range of clothing in a great range of sizes. Normally you are not able to find this with small companies, making it another great thing I love about Funky Giraffe. You may wonder why I got a Romper sent for Jack when he now walks around, but Jack still has play days at home and I think Rompers are the perfect outfit for these days. As with all Funky Giraffe items the prices get cheaper with the more items you buy, which again I think is great! Delivery of the items is really fast if you order by 3pm your item gets dispatched the same day. Please Note. These products were sent to me from Funky Giraffe for the purpose of this review, all opinions and wording are my own. Sweet shirts. nice work Excellent post and wonderful blog, I really like this type of interesting articles children.so cute.